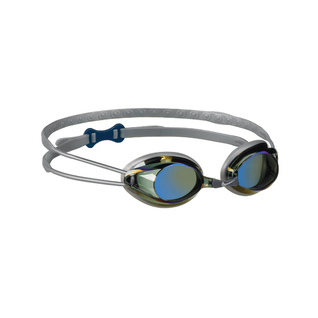 The Nike Remora Metallized Swim Goggles features adjustable silicone double head strap! The glass has a damage in the internal part. 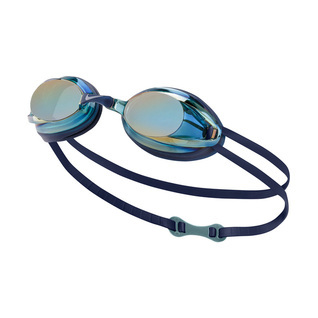 I have been using these goggles for three years, and they are terrific. 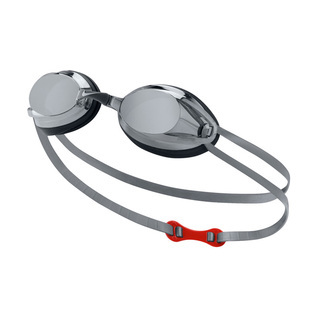 They are fully adjustable at the nose and in back of the head, and the eye cups fit very well and don't leak. The only complaint I have is that the anti fog coating doesn't last very long.